We offer superb accommodation in five fully equipped villas complete with electric blankets, heaters, fully equipped kitchenettes, outside braai facilities, and private entrances. Two Clarens businesses run the Ash river in big six men rafts. Grade 3 and 4 rapids.Half day and full day trips! 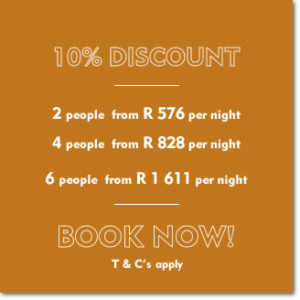 Discount for groups, families and children!